Four Christel House Mexico 5th graders made us proud at the XVI International Virtual Educa 2015 summit recently held in Guadalajara. 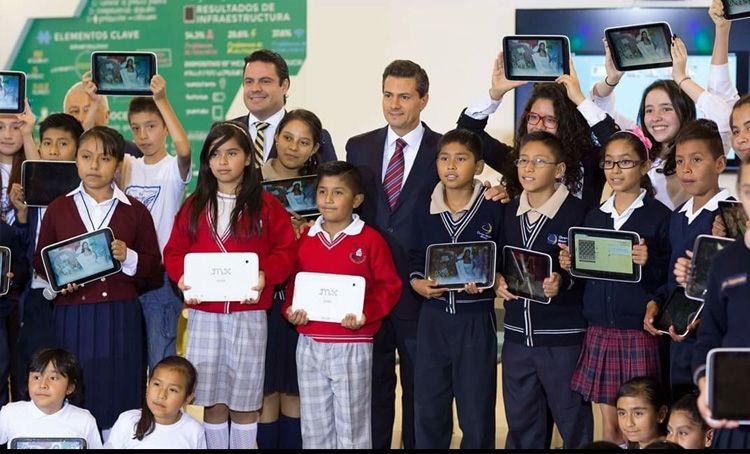 They presented a project they developed in collaboration with the UNAM (National Autonomous University of Mexico) to over 2000 people, including Mexico’s President, Enrique Peña Nieto. This was a transformative experience for our students who for the first time traveled by plane, slept at a hotel and were away from their parents for a week. More importantly, they demonstrated the values, manners and character skills learned at Christel House. In developing their project, our students also learned how to use new software developed by Microsoft. In a competition for participants of all ages utilizing this new software. Christel House Mexico student, Patricio R., won third place. Bringing together the best practices in educational innovation in Latin America, the summit provided demonstration workshops to allow teachers and students to test materials and technological equipment designed to stimulate learning and improve teaching. Over 5,000 Ibero-American teachers attended the event. Its seminars generated a variety of ideas about how educational innovation can contribute to social transformation. We thank all of those who helped make this trip possible, including the team of Presidency, “Aula del Futuro” of the UNAM, CONCIUS, Open Knowledge Network, Biosoftware Mexico and the Global Incom team.